When dealing with green waste removal, many residents tend to give it less importance or attention. Since green waste is biodegradable, people would usually think that it simply turns into soil when being dumped in a landfill. However, proper green waste removal is essential in keeping green waste out of landfills. Instead of dumping, it would be better to recycle and use it as a fertilizer. What can be considered as green waste? 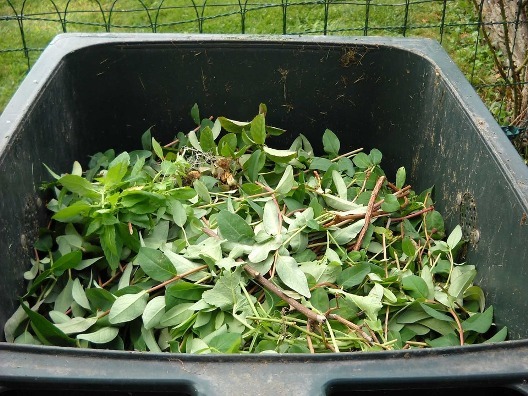 Usually, green waste is anything that is made up of shrub and bush clippings, leaves, garden waste and lawn cuttings. It also includes vegetable trimmings, prunings, berry vines and cut-up tree trunks. What happens when green waste is not disposed properly? If you are disposing green waste just like how you would dispose other rubbish, chances are it would end up in a landfill. Bear in mind that landfills don’t have the mechanism to handle the removal and decomposition processes needed in dealing with green waste. As a result, green waste decomposes without oxygen which then produces methane gas. Apart from the unpleasant smell and the health risk it poses to nearby residents, methane is also one of the causes of global warming. It is believed to have a greater greenhouse effect than carbon dioxide by as much as 25 times. One of the easiest ways to dispose green waste properly is by using a green waste bin. You can just put your yard and lawn trimmings and other types of green waste in a specially marked and designed green waste bin then wait for the day when it will be collected. Most companies would schedule a weekly collection which should give enough time for residents to prepare their green waste. Green waste removal and disposal may seem like an easy task but it actually needs a lot of smart and careful planning. At 1300Rubbish, we make sure that your green waste is handled by our team of dedicated and professional green waste disposal gurus. We take care of green waste in such a way that it is recycled properly, thus preventing it to cause harm both to the people and to the environment. You can get a free quote on green waste removal and disposal by simply calling our friendly customer service team. By calling 1300 Rubbish Removal (1300 78 22 47) you can get a free quote that is inclusive of tip fees and other extras. This way, you would know what to expect which can help you not to go beyond your budget. Moreover, you can also expect to receive a call from our pick up drivers at least 20 to 30 minutes prior to their arrival at your place. This will give you enough time to make some last minute preparation on whether every bit of green waste for disposal is ready for collection.